Polymer Research Center, Department of Chemical Engineering, Razi University, Kermanshah, Iran. The fabrication of functionalized membranes with hydrophobic/oleophilic surfaces for the elimination of n-hexane from water using para-aminobenzoate alumoxane, boehmite-epoxide and a novel nanoparticle, i.e., Stearate Alumoxane by a simple coating technique, is reported here. FTIR was used to characterize nanoparticles. SEM and contact angle measurement analyses were used to identify the nanocomposite membranes. The concentrations of oil in permeate and retentate were measured by UV/vis spectrophotometer. The morphology of Stearate alumoxane nanoparticles was investigated by means of SEM images. The composed film of nanoparticles on the Kevlar fabric was hydrophobic with water contact angle of ~ 145° and oleophilic with oil contact angle of ~ 0º. In addition, the membranes retained stable hydrophobicity and high separation efficiency even after employing for 6 times. Applying these properties, a setup was considered using the functionalized Kevlar fabric to separate oil through down to a collector and leave water drops. Our batch filtration system was exclusively gravity-driven. The achieved separation system can separate the oily water mixture (with the concentration of 20 % (v/v) n-hexane in water), effectively with a separation efficiency of 84%. Due to the increment in the amount of industrial oily wastewater and contaminated sea water, separation of oil/water mixtures is an essential issue [1-6]. Separation of oil/water mixtures can appear during oil extraction, crude oil production and refinery, petrochemical and metal finishing, textile and leather processing, food processing and lubricant, representing severe harms for the environment [1, 7-9]. Oil products enter the aquatic environment instantly and alter their primary state. Every crude oil type is classified to different compounds. About 50 to 98 % of oil is composed of hydrocarbons, which are primarily alkanes (paraffin) such as n-hexane . The refineries are one of the places in which hexane and its derivatives are produced. The common application of hexanes is the extraction of oil and grease pollutants from water. Due to the application of hexane in the aquatic environment, the separation of oil pollution from water resources is an essential issue . Conventional methods for this purpose are not satisfactory to solve the problem of oil polluted water due to their disadvantages such as low efficiency, high operation cost, corrosion, and recontamination problems, etc. [12-14]. Thus, membrane techniques offer conspicuous advantages in comparison with conventional separation processes [15-16]. Currently, employing functionalized materials and nanoparticles that can efficiently separate oil and water is becoming desire [17-19]. Besides the common techniques of oil separation, the techniques of using “nano” are developing, which use carbon nanotubes, aerogels, and nanocomposites, metal, and non-metal nanostructurized oxides, etc. [4-6, 10, 17, 19]. Some of these nanomaterials can be fabricated by safe and low-cost methods and without inducing destruction to the environment . In the recent years, the development of hydrophobic and oleophilic materials for the fabrication of membranes to separate oil from water has attracted much consideration because of their extraordinary separation efficiency and great applicability [1, 10, 20]. The hydrophobic property makes materials reject water entirely, but the oleophilic feature allows oil to permeate easily. Thus, hydrophobic and oleophilic materials can separate oil-water, effectively . Various methods have been developed to fabricate superhydrophobic and superoleophilic materials for oil/water separation consisting of sol–gel process [1, 21-22], electrospinning techniques [1, 23-24], electrochemical deposition , etc. In the recent years, a new generation of membrane processes is developing. It means that a filtration medium (support) is selected, afterward it is modified or functionalized with appropriate materials, and then it is used for separation. Some of these supports are cotton, wools, linens, fibers, porous carbon, sand, diatomite, coal, quartz, and metals including mesh film, filter paper, resin, sawdust, etc. Among them, fiber has attracted much attention. The improvement of fiber properties has made significant benefits [4-5, 26-33]. Only a few kinds of literature have focused on the fabrication of superhydrophobic textiles for oil/water separation . Although these studies have prepared a new opportunity to plan and prepare functionalized fabrics for the separation and filtration requests, superior polymers or complex procedures are needed. Kevlar fabric is one of these special polymers with high mechanical and chemical stability. The hydrophobic and oleophilic textiles with nanocoatings are effectively used for application in the oil/water separation . In this work, I propose a simple technique (dip-coating)  for the fabrication of hydrophobic and oleophilic textiles by coating Kevlar fabrics with hydrophobic Stearate Alumoxane. The Kevlar fabrics were pretreated by ethanol, acetone, and distilled water for cleaning of the fiber surface from pollution. Then, Para-aminobenzoate alumoxane (PAB-A) and boehmite – epoxide (Bo-E) nanoparticles were used to provide the Kevlar surface for the addition of Stearate Alumoxane (St-A) nanoparticles as the active top layer. The obtained functionalized textiles revealed superhydrophobic/ superoleophilic property, approximately, which can be used for the oil/water separation. The schematic preparation process of the functionalized textiles using the Kevlar fabric as a filter and dip coating as a method of modifying is shown in Fig. 1. Aluminum nitrate [Al (NO3)3·9H2O], sodium hydroxide, stearic acid, normal hexane (n-hexane), epichlorohydrin, and para-amino benzoic acid were purchased from Merck. Acetone, ethanol, and distilled water were used as solvents. Kevlar fabric, poly paraphenylene terephthalamide, (Du Pont, USA, with a thickness of 0.28 mm) was used as the membrane support. Heating was done by electric oven (53 lit. model Digital UNB 400, Memmert, Germany). Digital balance (Model TE212, Made by Sartorious, Germany, Max 210 g, d= 0.01 g) was used to weigh the samples. Sonication of solutions was performed by the ultrasonic bath (240 w–35 kHz, SONREX Digite C Ultrasonic bath, DT52 H model made by the bandelin company, Germany). Emulsions of oil/water were prepared by the ultrasonic processor (UP400S, Hielscher Ultrasound Technology). The specification of the centrifuge is Hettich (Universal 320 R, Germany). 1. Boehmite nanoparticles (γ-AlOOH), as the precursor material, were synthesized based on the sol–gel method published elsewhere . 2. PAB-A nanoparticles, utilized as the first coating layer on the Kevlar fabric, were also synthesized from boehmite and para-aminobenzoic acid according to the procedure described in an earlier study . 3. Bo-E was produced pursuant to the protocol explained completely in another investigation [29-30]. The structure of Bo-E is demonstrated in Fig. 2. This Fig. explains the product of the reaction between boehmite and epichlorohydrin in the presence of sodium hydroxide and water. The Cl in the epichlorohydrin and H in the boehmite are separated and form HCl. Thus, the linkage between epichlorohydrin and boehmite is formed. 4. Stearate Alumoxane nanoparticles (St-A): St-A was synthesized through the reaction of boehmite nanoparticles (6 g) and stearic acid (29 g) thoroughly with 165 mL of DMF in a 500 mL round-bottomed flask. The resulting suspension was heated for 5 min then sonicated for 10 min in an ultrasonic and then refluxed for 10 h at its boiling point after which it was allowed to cool to room temperature and then centrifuged (25 °C, 4000 rpm) with ethanol. The resulting solution was kept in the oven at the temperature of 75 ºC; finally, the creamy powder was obtained. The procurement of relative superhydrophobic fabrics was based on 3-step dip coating . At first, roundish segments of Kevlar fabric (5 cm diameter) were washed with ethanol, acetone, and distilled water to remove extra dyes and surface contaminant. Then, the samples were kept in the oven at 50 °C for 10 min to be dried. Phase 1. 1 g of PAB-A was dissolved in 50 mL of distilled water and sonicated for 10 min in an ultrasonic bath and then, poured into a clean glass petri dish. Kevlar fabrics were immersed in the solution for 1 min. In order to dry the coated fabrics, they were kept in the oven at 100 °C for 14 h.
Phase 2. Here, coated fabrics of the previous step were submerged in the aqueous solution of BO-E nanoparticles with the concentration of 0.1 g/mL for 10 min. It is to be noted that, the Bo-E solution was sonicated for 60 min in an ultrasonic bath. The resulting coated Kevlar fabrics were dried by keeping them in the oven at 100 °C for 3 h.
Phase 3. Surface layer:1 gr of St-A was dissolved in 30 mL of acetone and sonicated for 10 min in an ultrasonic bath and poured into a Petri dish. Coated fabrics of the previous step (step 2) were immersed in the prepared solution for 10 min. The resulting coated Kevlar fabrics were dried in the oven by keeping them at 100 °C for 24 h.
Both sides of Kevlar fabric (upper and low surfaces) were coated through modification process by dip coating. Thus, if there is a chance for water droplets to pass through the membrane, the beneath surface of modified fabric prevents the passage of water. Accordingly, the separation of oil and water is almost more effective. The IR spectrum of the sample (St-A) was obtained through an ABB Bomem Fourier Transform Infrared FTIR (MB-104) spectrophotometer. The morphologies of the synthesized powder and membrane were observed by Scanning Electron Microscopy (SEM, HITACHI, S - 4160). Contact angle measurements were performed using a video–optic contact angle goniometer with a 4 µL water droplet and a 4 µL oil droplet at the ambient temperature to measure the hydrophobicity and oleophilicity of the membranes, respectively. Where Cf and Cr are the oil concentrations in the feed and retentate fluxes, respectively. The emulsion preparation was carried out at ambient temperature (about 28 °C) without the addition of any surfactant. The oil/water emulsions with the oil concentration of 20 % (v/v) oil in water were prepared by the ultrasonic processor. Ultraviolet-visible spectrophotometer (UV-2100 spectrophotometer) was employed to indicate the absorption or reflectance of oil and accordingly, concentration of oil in mixtures of oil/water to determine the efficiency of the separation. The oil/water emulsion was initially calibrated for different known oil concentrations in terms of absorbance recorded at a wavelength of 200 nm (Which is the wavelength at which maximum absorption occurs). After one step of separation, the membrane was used to separate another emulsion with the same characteristics to understand that if the membrane retains its hydrophobicity property or the linkages disappeared. Fig. 4 illustrates the FT-IR spectra of the boehmite and St-A nanoparticles. As can be seen, two intense bands at 3076 cm−1 and 3288 cm−1 are related to the stretch frequency of OH groups. The frequencies of 1068 cm−1 and 1153 cm−1 are related to the symmetrical bending vibrations of hydrogen bands of OH···OH. However, in the St-A spectrum, the boehmite prominent peaks are present which show the amount of unreacted OH groups of boehmite on the surface of St-A. Also, the two broad and prominent peaks around 1600 cm−1 and 1430 cm−1 indicate that the carboxylate links on nanoparticles surface were formed while reacting with stearic acid. Overspread broad peak at 1650 cm-1 is belong to the stretching vibration of C=C of the stearate. Also, peak at 1674 cm-1 is attributed to the water in the structure of the particles. Fig. 5 presents the SEM images of St-A at different magnifications. Stearic acid is a fatty acid with actually amphiphilic property in character. In Fig. 5, at each magnification, two images have been brought that identify two different views of St-A nanoparticles. As Fig. 6 indicates, stearic acid is composed of hydrophilic head and hydrophobic tail. The reaction between the hydroxyl groups (OH) of boehmite with carboxylic groups (COOH) of stearic acid has resulted in the formation of carboxylate linkages on the surface of boehmite. The filamentous modes of nanoparticles in Fig. 6 may show the hydrophobic tail of St-A. Coating of the plain Kevlar fabric with three layers of nanoparticles fills the empty space between the textures of the fabric and makes the fabric uniform and compact, this distinction is shown in Fig. 7. Hydrogen bonding interactions are formed between – NH – CO groups of Kevlar and – NH2 functionalities of PAB-A. Bo-E as the interlayer provides the strength and stability of the surface layer, i.e., St-A layer. The reason for coating of the fabric with PAB-A and Bo-E before applying the surface layer is that: if St-A is applied alone, the enough strength between Kevlar and St-A isn’t provided and St-A may decompose and separate from fabric. It is remarkable that the linkage between PAB-A and Kevlar fabric is stronger than St-A and fabric. Because the hydrogen bond between –NH2- and fabric is more considerable. The structures and connections among fabric and nanoparticles are presented in Fig. 8. The functionalized Kevlar fabric with three layers (Fig. 7) has a more compressed and regular surface in comparison with the un-functionalized (uncoated) one. The gaps between the wraps and woofs of the fabric and the pores on its surface are filled with the coating materials. To realize the hydrophobicity/oleophilicity properties of the prepared membrane, water contact angle test was done. For this purpose, a 4 μL water droplet at ambient temperature was deposited on the sample (A square strip (1.5 cm) of the membrane was positioned face down on a glassy plate.) As can be seen in Fig. 9 (a), WCA is about 145º (Oil contact angle is ~ 0º, oil droplets were immediately absorbed when dripped onto the membrane owning to the hydrophobic/oleophilic character of its surface). According to Fig. 9 (b), WCA demonstrates that the membrane keeps its hydrophobicity even after employing for 6 times. It is noteworthy to mentionthat plain Kevlar fabric is hydrophilic in nature, due to the amide groups of Kevlar fabric. To compare the performance of functionalized (improved) Kevlar fabric by St-A with un-functionalized one, the plain fabric is exposed to the emulsion of oil and water. Then, the efficiency was measured. Investigations indicate that the separation efficiency is modified by the functionalization of Kevlar (Fig. 10). Due to the non-ideality of the membranes and operational conditions, the efficiency isn’t 100%, and the possibility of passing water from membrane exists. Thus, the oil rejection is acceptable and almost high. It is concluded that modification of the membrane with PAB-A and Bo-E as a basis for the preparation of condition for adherence of St-A to fabric is effective. Thus, St-A is a material with strong hydrophobicity characteristic. 1. The penetration and entrapment of water molecules on/into the membranes without passing from it. Thus, some of the active sites (oleophilic sites) may be filled and occupied by water molecules and might be lost through the separation process. 2. Moreover, the whole of oil molecules don’t pass the membrane and aren’t collected in the sample container. It means that according to the oleophilicity of the membrane, some of the oil molecules tend to absorb to membrane without passing. 3. Another reason for nuances in oil rejections (%) may be due to the formation of an oleophilic layer on the membrane which acts as a bridge to absorb oil molecules from the emulsion and allow them to pass through the membrane. Fig. 11 illustrates the water flux as a function of time. It is understood that the water flux is highly dependent on a number of oil particles pass through the membrane surface according to the superhydrophobicity of membrane and the amount of adsorption depends on the type of interactions occurring between the emulsion droplets and the membrane material such as oleophilic/hydrophilic interactions, hydrogen bonding, Van der Waals interaction and electrostatic effects . According to Fig. 11, Referring to the initial and final points of the curve, a great reduction in the flux is observed. The flux decreases quickly at the beginning of filtration and then tends to be constant. 6) Compared with other approaches for fabricating materials for oil/water separation, this method is able to fabricate feasible materials for oil/water separation easily and economically. Consequently, the prepared membrane is a promising candidate for oil/water separation. A membrane was prepared with two properties of hydrophobicity and oleophilicity. Oleophilicity was provided using a novel nanoparticle as a top layer, called Stearate alumoxane. In order to prepare a membrane with high adherence of St-A, two other nanoparticles, PAB-A and Bo-E, were selected as the first and middle coating layers, respectively. Dip-coating was used as the method to coat the support. Modified fabric can easily absorb the oil, which then forms a film, due to the strong adhesion properties of the oil molecules. The oil removal of this functionalized membrane reached about 84%. The prepared membrane was reused 6 times to investigate the capability of the membrane and especially the nanomaterials in the separation process. The oil rejection didn’t decrease significantly. This technique is adequate (from the aspects of economical, method of production, chemical, and mechanical stability, etc.) for the preparation of notable nanomaterials, consequently, application of them in the modification of membrane for oil/water mixtures separation. 1. Du C, Wang J, Chen Z, Chen D. Durable superhydrophobic and superoleophilic filter paper for oil–water separation prepared by a colloidal deposition method. Applied Surface Science. 2014;313:304-10. 2. Chen W, Su Y, Zheng L, Wang L, Jiang Z. The improved oil/water separation performance of cellulose acetate-graft-polyacrylonitrile membranes. Journal of Membrane Science. 2009;337(1–2):98-105. 3. Xue C-H, Ji P-T, Zhang P, Li Y-R, Jia S-T. Fabrication of superhydrophobic and superoleophilic textiles for oil–water separation. Applied Surface Science. 2013;284:464-71. 4. Jiang Y, Hou J, Xu J, Shan B. Switchable oil/water separation with efficient and robust Janus nanofiber membranes. Carbon. 2017;115:477-85. 5. Ma W, Guo Z, Zhao J, Yu Q, Wang F, Han J, et al. Polyimide/cellulose acetate core/shell electrospun fibrous membranes for oil-water separation. Separation and Purification Technology. 2017;177:71-85. 6. Cheng Q, Ye D, Chang C, Zhang L. Facile fabrication of superhydrophilic membranes consisted of fibrous tunicate cellulose nanocrystals for highly efficient oil/water separation. Journal of Membrane Science. 2017;525:1-8. 7. Abbasi M, Salahi A, Mirfendereski M, Mohammadi T, Pak A. Dimensional analysis of permeation flux for microfiltration of oily wastewaters using mullite ceramic membranes. Desalination. 2010;252(1–3):113-9. 8. Yi XS, Yu SL, Shi WX, Sun N, Jin LM, Wang S, et al. The influence of important factors on ultrafiltration of oil/water emulsion using PVDF membrane modified by nano-sized TiO2/Al2O3. Desalination. 2011;281:179-84. 9. Su C, Xu Y, Zhang W, Liu Y, Li J. Porous ceramic membrane with superhydrophobic and superoleophilic surface for reclaiming oil from oily water. Applied Surface Science. 2012;258(7):2319-23. 10. Kharisov BI, Dias HVR, Kharissova OV. Nanotechnology-based remediation of petroleum impurities from water. Journal of Petroleum Science and Engineering. 2014;122:705-18. 11. Mohammed RR, Ibrahim IAR, Taha AH, McKay G. Waste lubricating oil treatment by extraction and adsorption. Chemical Engineering Journal. 2013;220:343-51. 12. Daiminger U, Nitsch W, Plucinski P, Hoffmann S. Novel techniques for iol/water separation. Journal of Membrane Science. 1995;99(2):197-203. 13. Hong A, Fane AG, Burford R. Factors affecting membrane coalescence of stable oil-in-water emulsions. Journal of Membrane Science. 2003;222(1–2):19-39. 14. Chen W, Peng J, Su Y, Zheng L, Wang L, Jiang Z. Separation of oil/water emulsion using Pluronic F127 modified polyethersulfone ultrafiltration membranes. Separation and Purification Technology. 2009;66(3):591-7. 15. Kubota N. Polymer membranes. Filtration membranes for water treatment. Purasuchikkusu Eji. 2010;56:72-5. 16. Fakhru’l-Razi A, Pendashteh A, Abdullah LC, Biak DRA, Madaeni SS, Abidin ZZ. Review of technologies for oil and gas produced water treatment. Journal of Hazardous Materials. 2009;170(2–3):530-51. 17. Qu X, Alvarez PJJ, Li Q. Applications of nanotechnology in water and wastewater treatment. Water Research. 2013;47(12):3931-46. 18. Maguire-Boyle SJ, Barron AR. A new functionalization strategy for oil/water separation membranes. Journal of Membrane Science. 2011;382(1–2):107-15. 19. Qin F, Yu Z, Fang X, Liu X, Sun X. A novel composite coating mesh film for oil-water separation. Frontiers of Chemical Engineering in China. 2009;3(1):112-8. 20. Khemakhem M, Khemakhem S, Ben Amar R. Emulsion separation using hydrophobic grafted ceramic membranes by. Colloids and Surfaces A: Physicochemical and Engineering Aspects. 2013;436:402-7. 21. Yang H, Pi P, Cai Z-Q, Wen X, Wang X, Cheng J, et al. Facile preparation of super-hydrophobic and super-oleophilic silica film on stainless steel mesh via sol–gel process. Applied Surface Science. 2010;256(13):4095-102. 22. Su C, Xu Y, Zhang W, Liu Y, Li J. Porous ceramic membrane with superhydrophobic and superoleophilic surface for reclaiming oil from oily water. Applied Surface Science. 2012;258(7):2319-23. 23. 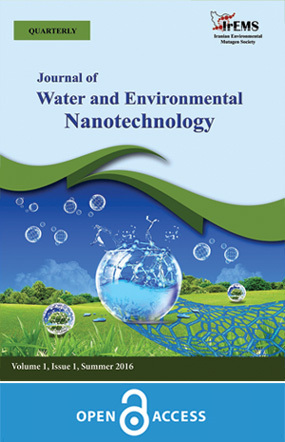 Wang L, Yang S, Wang J, Wang C, Chen L. Fabrication of superhydrophobic TPU film for oil–water separation based on electrospinning route. Materials Letters. 2011;65(5):869-72. 24. Lin J, Shang Y, Ding B, Yang J, Yu J, Al-Deyab SS. Nanoporous polystyrene fibers for oil spill cleanup. Marine Pollution Bulletin. 2012;64(2):347-52. 25. Shutao W, Yanlin S, Lei J. Microscale and nanoscale hierarchical structured mesh films with superhydrophobic and superoleophilic properties induced by long-chain fatty acids. Nanotechnology. 2007;18(1):015103. 26. Briscoe BJ, Luckham PF, Jayarajah JN, Akeju T. Separation of emulsions using fibrous fabric. Colloids and Surfaces A: Physicochemical and Engineering Aspects. 2000;163(2–3):151-64. 27. Lim T-T, Huang X. In situ oil/water separation using hydrophobic–oleophilic fibrous wall: A lab-scale feasibility study for groundwater cleanup. Journal of Hazardous Materials. 2006;137(2):820-6. 28. Xue C-H, Ji P-T, Zhang P, Li Y-R, Jia S-T. Fabrication of superhydrophobic and superoleophilic textiles for oil–water separation. Applied Surface Science. 2013;284:464-71. 29. Karimnezhad H, Salehi E, Rajabi L, Azimi S, Derakhshan AA, Ansari M. Dynamic removal of n-hexane from water using nanocomposite membranes: Serial coating of para-aminobenzoate alumoxane, boehmite-epoxide and chitosan on Kevlar fabrics. Journal of Industrial and Engineering Chemistry. 2014;20(6):4491-8. 30. Karimnezhad H, Rajabi L, Salehi E, Derakhshan AA, Azimi S. Novel nanocomposite Kevlar fabric membranes: Fabrication characterization, and performance in oil/water separation. Applied Surface Science. 2014;293:275-86. 31. Zhang L, Zhang Z, Wang P. Smart surfaces with switchable superoleophilicity and superoleophobicity in aqueous media: toward controllable oil/water separation. NPG Asia Mater. 2012;4:e8. 32. Maiti S, Mishra IM, Bhattacharya SD, Joshi JK. Removal of oil from oil-in-water emulsion using a packed bed of commercial resin. Colloids and Surfaces A: Physicochemical and Engineering Aspects. 2011;389(1–3):291-8. 33. Cambiella Á, Ortea E, Ríos G, Benito JM, Pazos C, Coca J. Treatment of oil-in-water emulsions: Performance of a sawdust bed filter. Journal of Hazardous Materials. 2006;131(1–3):195-9. 34. Rajabi L, Derakhshan AA. Room Temperature Synthesis of Boehmite and Crystallization of Nanoparticles: Effect of Concentration and Ultrasound. Science of Advanced Materials. 2010;2(2):163-72. 35. Derakhshan AA, Rajabi L, Karimnezhad H. Morphology and production mechanism of the functionalized carboxylate alumoxane micro and nanostructures. Powder Technology. 2012;225:156-66. 36. Chakrabarty B, Ghoshal AK, Purkait MK. Ultrafiltration of stable oil-in-water emulsion by polysulfone membrane. Journal of Membrane Science. 2008;325(1):427-37. 37. Gao N, Ke W, Fan Y, Xu N. Evaluation of the oleophilicity of different alkoxysilane modified ceramic membranes through wetting dynamic measurements. Applied Surface Science. 2013;283:863-70. 38. Guo W, Zhang Q, Xiao H, Xu J, Li Q, Pan X, et al. Cu mesh's super-hydrophobic and oleophobic properties with variations in gravitational pressure and surface components for oil/water separation applications. Applied Surface Science. 2014;314:408-14.